confident, organised, and emotionally well balanced. Sorted Pro* is free for 14 days, on all your devices. No strings attached. No automatic subscriptions or charges will be made. After 14 days, Sorted Pro features will be locked, but our core features will remain free to use forever. Store and organise your ideas and tasks in lists. Then simply select and tap the calendar to schedule them. Schedule multiple tasks with our time ruler, multi-select and pinch gestures to come up with an execution plan in seconds. Things don't always go according to plan. Get instant feedback to changes in your schedule without jumping through hoops. Easily maintain perspective on your schedule and take control of even your most hectic days and come out on top. 1. Write down your tasks and ideas into lists. 3. Update your schedule if you fall behind or when things change. Capture your thoughts into Sorted directly using Siri. 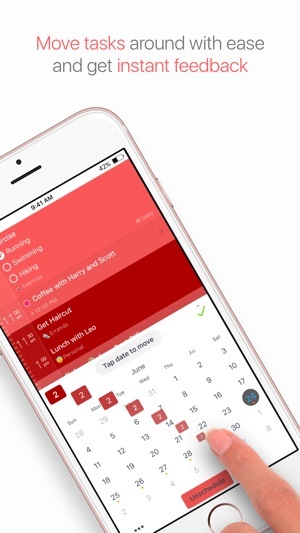 See all your tasks and events in ONE unified list. - Powerful Gestures - Helps you get your planning done in seconds. 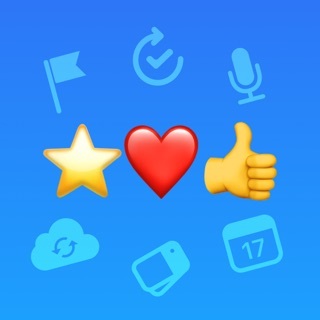 - Daily log - To track all your accomplishments. - Checkboxes - For subtasks directly within each task. - Notifications - To keep you on task without staring at your device. - Auto-Snooze - Nagging alerts so you don't miss a thing. - Share Menu & Tappable Links - To keep track of websites and text from other apps. 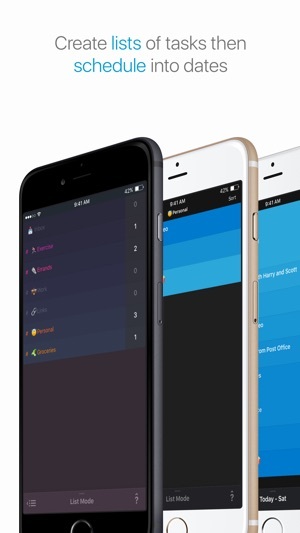 - 3D Touch - For quick actions and even more powerful task scheduling shortcuts within the app. - URL Scheme - Integrate with other apps and services like Workflow. 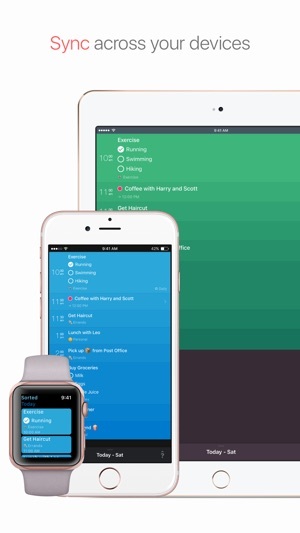 - Apple Watch - See your tasks on your wrist. * Requires Sorted Pro after 14-day free trial. See below for more details. Sorted is built by a small, but dedicated team obsessed with productivity. We'd love to know how we can help you #StaySorted. So get in touch via hello@staysorted.com, or tweet us @Stay_Sorted. NOTE: Sorted³ is now available. Visit staysorted.com for details. Can not recommend highly enough to anyone who needs to time-block tasks. Initially downloaded this as a replacement for Timely (RIP) and it does fit most of that bill. The only thing I really miss from Timely is the option to view daily agendas as calendars; my visual brain likes seeing time blocks instead of list items (even though it clearly tells you the duration). Beyond that one request, Sorted gives me everything I need from a task management/scheduling app, and then some. It’s so easy to use, even when you get behind, and wildly flexible, can be adapted to several existing productivity systems or pretty much anything you come up with yourself. It actually changed the way I plan for the better. I personally use it in conjunction with Apple Calendar (for events and for big picture time blocking) and a journal (for goal planning/tracking, top 3 daily priorities, and gratitude journaling). I have always been a chronic app-hopper, but I’ve been with Sorted for a year now - that’s a record for me! - and I don’t plan on going anywhere anytime soon. Worth paying for Pro, for sure. Thanks for your feedback. It means a lot to us! 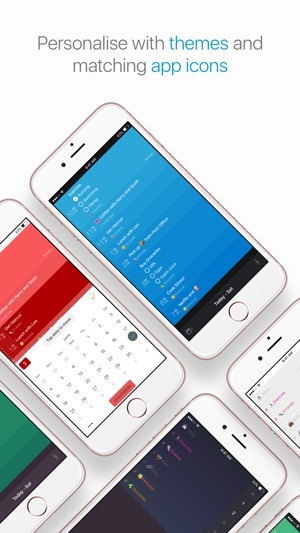 We are currently developing Sorted 3, which will have better Calendar Integration. We are also planning to add the daily agendas and weekly view to Sorted. Hope the new features will delight you ever more! 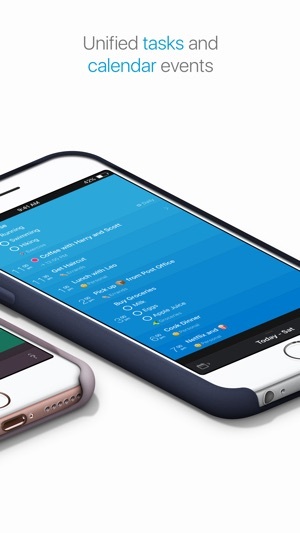 I'm an iOS app to-do list addict, I try just about all of them. This one in sticking with and here's why... The rescheduling feature of this app is just pure genius. Tap, multi-select, pull down to adjust the times in bulk, or drop to another date all in one swoop. With every other app I've used you reschedule one at a time. One at a time is something I got used to until I met this app. I don't think I could ever use another app again just for this feature alone. Next, visually this app is just beautiful to look at. Change themes and colors and make it your own. Finally, Take the time and learn everything, help videos are available within the app. Once you learn the tips of the trade, everything you do in this app runs smooth and just feels very fluid. Very well done thank you for making this amazing app!!! I’ve tried a variety of other task scheduling app.s, but this is the one that has stuck. I struggled with using it for the first week or so - the instructions are minimalist, and parts of the user interface initially seem clunky. I could also do without video illustrations of tasks that are very hard to read, and can’t be paused. Well, having gotten used to it, it’s really excellent at nudging me to complete tasks. The underlying concept of actually scheduling individual tasks has helped move a number of items that I’ve been dodging over to the ‘done’ column. It’s doing a stellar job of making me more focused on high priority tasks, and more productive. And, oddly enough - given that it’s nudging me to do the tasks I don’t want to do - it’s enjoyable to use. Syncing between my devices has been rock solid, which is always great in an app. FYI in re support - I did contact them on a question relating to adding tasks via Siri; they were very fast and responsive. I think you will find Siri to be somewhat limited in this venue, but I do believe that’s Siri’s fault, and not the developers. Overall, I’d recommend trying the app for several weeks, and then see what you think. They do have an option to purchase rather than subscribe, which is also a real plus. Thanks for your feedback. It means a lot to us. We are working on ways to improve the Onboarding process, including the guidelines, usage cues and tutorial videos. One-time fee for all Sorted Pro's features.